Just as we saw last week following a strong opening day, today's trading answered yesterday's rally with a 173 point down day, eliminating most of yesterday's gains. We are slowly seeing volatility increase more and more. The VIX took a good pop today, which if the trend continues, could result in good profits for the leveraged ETFs. To see such a strong reaction to yesterday's big buying only solidifies my suspicion of market manipulation occurring on these first days of the week. Much like last week, the market exploded with really not much supporting data, forcing investors to cover their short positions. However, as I've said before, as increased volume returns to the market, manipulation will be much more difficult execute. A big concern on many investor's minds right now is the problems being faced in the bond markets. The recent spike in the 10-year yield curve (the steepest in history) is causing much concern for government bond investors. Due to the most recent $100+ billion issued in government bonds and notes this week alone, many are liquidating bonds in fear of increasing yields in the short term. If indeed the problem worsens in the bond markets, this could cause some serious problems in the monetary system, especially when you consider how much debt has piled up with the Treasury in just the past few months. I do feel that there will be some buying opportunities with Treasuries and the US dollar, however, not until much of this mess gets figured out. Today, existing homes sales data was announced, which came in right around market expectations at 4.68M. Even though this number was a slight increase from the previous month's number, there are some things to consider of why this can be looked upon as a negative indicator. First, we are beginning the prime for the housing season. Spring and Summer acts as the busy time for home buying, especially for families. 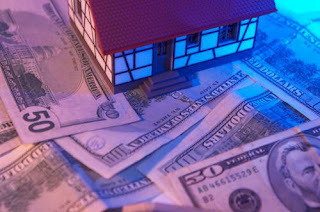 As such, historically, the current months usually show a significant raise in home transactions and prices. Second, consider the current foreclosures. Most of the homes being sold, currently, are foreclosed, distressed homes. When looking at the higher end homes, we see almost nothing trading. After the record setting foreclosures we have seen in the last few months, banks are pricing homes to sell, which are usually far below a For Sale by Owner's price. The only problem to this is the huge amount of inventory that exists to sell. We are not selling enough to break even to the amount being foreclosed on. Until that happens, I can't see signs of a recovery in the housing market anytime soon. Today, there was a big technical reading on the S&P graph to go short today. This is very significant as, historically, the indicator does rather well. As a result, I will be taking a rather large position in either SH or SDS, to have a short position in regards to the S&P. Sure, the reading does not guarantee a downward movement, but there are many technicals that make up that reading. So, although we may continue to bobble back and forth a bit for some time, I am going with the model and taking a good position on the short side for the S&P. I go into this much more further in today's premium podcast (subscribe here) as well as talk about other shorts I bought today and some currently being considered. A very likely, upcoming GM bankruptcy still remains a concern for many. Not just because it will be one of the largest bankruptcies in our country's history, but also because of the many problems that come with the package. The bankruptcy could not come at a worse time for the government, as they will, most likely, hold GM's hand through the process. Absorbing much of the auto giant's losses could cause more concern in the bond markets and deepen the wound that already exists. On the actual announced "D-Day" for GM, I am still expecting a pretty strong negative reaction from investors, even though the event is anticipated. Another element which is causing concern in the economy is the recent spike in oil prices. Sure this may be great for those of you investing in oil, but for the overall economy, it's a negative. This effects transportation costs, food costs, material costs, and many other things. One big element that contributed to this recession, was the huge spike in energy prices. As I do feel oil show head back down during the summer time, current prices put some more pressure on already struggling businesses. Tomorrow should be a pretty active day, especially when considering all the economic data being announced (initial jobless claims, new home sales, durables). Depending on how we see us open, I could definitely be making several moves tomorrow. I feel we're getting closer and closer to critical mass and opportunities are in front of us. For those of you who are continually trying to convince me that we are in bull market now, you are wasting your breath. I predicted such reactions would occur and wrote about it in my post back in March. So, such reactions only confirm my initial belief. Perception becomes easily distorted in such volatile markets and it is usually the weak, inpatient investor that gets killed in this type of environment. Morningstar has some great research tools, which you can try their free trial here: Morningstar Investment Research: Free Online Trial. 4,000 In-Depth Reports, Ratings. Data on 20,000+ Stocks and Funds. I will try to be on chat more tomorrow as I believe we could see some significant movement, either up or down. Either direction, I have some moves waiting to be made. The charts are continuing to show us very close to critical mass. In my opinion, many have been fooled by this government stimulated rally and hopefully, in the future, the government will put money in places where it will make a lasting difference. Happy Trading. Either way, the only thing that can save GM is the government, and the consequences of them stepping in will most likely be worse than GM going bankrupt. US bonds are already in trouble, but I'm sure investors would get it wrong the first couple of days. FF, I always appreciate your comments, but it seems too risky to me to play bear at this time. I don't care how much bad news out there, but whenever I tried to play bear I lost money miserably. Isn't it wiser to get long on stocks your really believe in rather than shorting stocks that are problematic? For example, if you bought RIMM options repeatedly over the past 6 months, you would have definitely made a fortune. It is interesting that still people are chasing RIMM. This is just a good example though. You had the perfect idea of gold soaring with GDX being one of the best. Why don't you keep buying GDX options which is recession proof? I just find it so hard to gain any money with funds like SRS or FAZ for long term. It is only good for day trading or can work as an insurance. Just my two cents. Jeremy, I agree with you for the most part on believing in good companies and holding out. However, in this type of economic environment, I do believe there is more opportunity on the short side, for now. I know it doesn't seem like that because of the recent rally, but eventually for this year, I believe Bears will get the best of this market. But, usually, in normal conditions, I am right with you Jeremy, I like playing the bull too when I can. Thanks for the comment. This constant whip-sawing up and down 100-200 pts is ridiculous. I keep holding onto my shorts and as soon as I get even......I think " ok here it is....the big sell-off" and " Doh " it rally's again. Dell reported tonight better than expected earnings per share, but revenue was light by 2.66 BILLION. That's got to be crushing, yet, stock popping after hours. When do you for see, Oh mighty bear guru, this time to go ALL IN on the shortside. Timing is everything, but give me something more solid than, " In the near future". I am a Bull by nature, But converted to BEAR when Gov'ment wanted to put there hand in everything. Time in a recession bleeds consumers. Unfortunately, right now the volatility is making it a very frustrating market to trade in, however, this is what usually precedes a good strong down leg. The economic data is there to support it, now it's just waiting until the Fed's money influx has dried up, which it is getting close to... Look at the flat housing numbers today... its there, and myself, like you is patient waiting, and yes, it does get frustrating. FF, stick to your views and u'll be right eventually. perhaps not in this business cycle but definately spot on in the next business cycle. Not surprised if it's green tommorow, given CNBC has been trying so hard to prove to everyone May is no longer a "Sell Now, Go Away" month. The volume is just ridiculous - only mom and pop buying, and sellers are hiding.